You would have to be under a rock to have not heard some talk of The Law-of-Attraction, The Secret, Visualisation or the Power of Positive Thinking. However, a strange thing happened that day, the very stylish-looking, twenty-something chick who dealt this eye-rolling piece of advice, said something that was to be the beginning of a new practice I would fully incorporate into my life. A practice that creates results and brings me a lot of comfort and joy. She told us to think about blue elephants. We were asked to close our eyes for about a minute and instructed to imagine in great detail, blue elephants; what they looked like, how they moved, what shade of blue they were. She then ended her talk assuring us that these mighty creatures would be showing up over the coming week. I scoffed and moved on to enjoy the rest of my day, listening to scientists talking about things that really mattered. Yes, you guessed it, over the next few days – I kept seeing darn blue elephants. 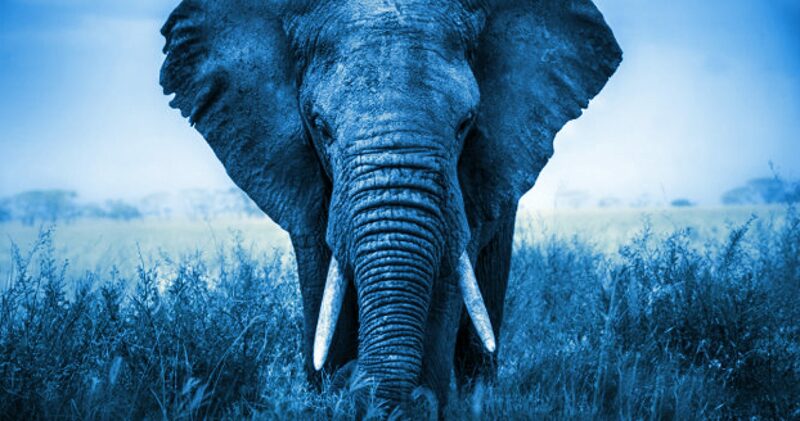 When she had said blue elephants, I thought she was talking about big blue elephants walking down the street, trunks swaying from side to side, as if they had just stepped out of the jungle. I was pretty confident I wasn’t going to see any of those. What I hadn’t realised, was blue elephants were all around me; on signs, on TV, in magazines – logos, cartoons, stuffed toys. Because they had never been brought to my conscious attention, I had no reason to notice them. That, my friends, was my first lesson in the art of visualisation. A practice I now put to good use, alongside a number of tools that help me create an intentional life. Caution, there is a little more to this than meets the eye and some pitfalls for beginners that bring the law-of-attraction crashing down. Let me break it down and help you understand and incorporate this practice into your life. First up, I had to get my head around the science of this, or maybe better said, the logic of this. I couldn’t just believe it worked, it had to make sense to me. The word visualisation or law-of-attraction, can sound a bit hippy and scare people off, it did me. However, the concept of focusing our attention on what we want, is far more accessible. Many of us have experienced this phenomenon when we decide to buy a new car. For me, ready to purchase my first car; having set my heart on a red two-door Pajero – a car I had never noticed before – I found it astonishing to discover the roads were teeming with them, in the exact colour I was coveting. Many women have had this experience when trying to get pregnant, it seems like the whole female population from 18 to 40 is pregnant or nursing! It is impossible for our conscious mind to be accessing all this data. However, the moment something becomes a priority for us, it gets brought to the top of the pile and into our conscious brain – our thinking brain. The result is we become aware. Firstly, it brings into our consciousness what is already around us, we can then choose whether to act on this new awareness. Secondly, we will start making decisions – both consciously and subconsciously – and create new actions that will bring more of the thing we are focusing on, into our lives. Let’s look at the blue elephant example again. Once my mind had consciously fixated on blue elephants, I became aware of them all around me. If I had wanted to take the second step and bring more blue elephants into my life, I would have started to make choices that would have increased my likelihood of seeing them. Possibly without even realising it. I may have changed where I spent my time, the people I associated with, the conversations I had. As a result increasing the likelihood of seeing more blue elephants. Understanding this takes the law-of-attraction out of the realm of the mystical and into a place that makes logical sense. We can put these concepts to work very effectively when searching for the Perfect Partner. Check out my ideas and the exercise here, if this is important to you right now. There are many different ways this can be done. Kevin Spackman, the author of The Winners Bible, is very keen on Fixated Visualisation, where you stare very intently at an image for about two minutes. You do not take your eyes off it (yes you can blink), taking in all the detail, putting yourself in the picture where appropriate and bringing the image alive in your mind. His theory is you will move a static image into an emotional experience. Once we create emotional connections to something (what I call, going to the feeling place), we become a lot more invested in creating this in our real lives. Meditation is a form of visualisation, as is journaling and vivid storytelling. Visualise it like you already have it. Go to the feeling place of already having it. Hold the images and feelings for at least a minute or two, preferably more, bringing minute detail and intense feelings to life in your head. Doing this often and regularly – obsessively really! Visualising like you already have it and the feeling place. This is SUPER important and at first this part can trip you up. Many people think they are fixating on something, but in reality they are focused on the lack of it. This is why I am not a fan of the traditional dream boards. Unless we have control of our negative thoughts, we can often gaze upon these beautiful collages of glossy pictures and actually feel stink. Just below the surface, we are thinking about how we don’t have these things, how hard they are to get and that it is never going to happen for us. As a result, this is what we continue to create. When I visualise I build a detailed visual picture of the outcome I am focused on and then I step into it like it is already happening. I get all emotional about it, often bringing myself to tears of joy or excitement. It’s crazy, I believe with all my heart that it is actually happening at that moment. This can be applied to everything, how we want our relationships to be, outcomes at work, study or business objectives, health and sporting goals. Let me give you an example. I was working very hard towards a goal, it was a toughie and I had not succeeded in the past. (Knowing what I know now, back then I was focusing on the fear of failing, not the joy of success). However, this time I was determined to focus on my success. As I was out on my afternoon runs, I would go into a dreamlike state imagining my goal being achieved and the immense feeling of satisfaction upon completion. I would think in great detail about the recognition and praise I would receive and how fulfilling that would be. I would imagine my husband’s pride, and my kids cheering, and exactly how I would spend the extra income created. In the last few weeks as the finish drew near, I’d be running, laughing and crying with the emotion of my visualisation – it was then that I knew it was done, that I would succeed. Because of the incredible emotional and mental energy applied to the task, my mind was coming up with all these crazy creative ways to solve problems and meet targets; it really was an extraordinary experience. When we feel the emotion, we rewire our brain. These powerful thoughts create new circuits that help us perform better, as Spackman says – it’s like giving your brain an upgrade. As we start to add additional circuitry around our goals, more brain power creates more creativity and problem solving, which increases our productivity and our luck, ultimately creating results. You can feel this. When we fixate like this, we feel good, a smile spreads across our face and we feel uplifted. If you are struggling to go to this happy place with your visualisations – then I suggest you are subconsciously thinking about the lack of it. Work needs to be done on the beliefs you hold about yourself. As far back as Denis Waitley in the Psychology of Winning, there has been acceptance in the sporting world that training and controlling our thoughts and feelings is what creates the winning edge. If Olympians know this, I think it’s time that we mere mortals jump on board. With two boys, I have spent countless hours sitting on the sidelines, heart in my mouth, doing everything in my power to evoke the Law-of-Attraction and not the God of Golden Ducks! There was one boy in our team who I watched week after week visualise himself out, within the first over. He was a talented little cricketer, but as he got older the competition got tougher, and he had a run of bad luck; three Ducks in a row (it happens to the best of them). This little guy decided to tell himself a story about this run of events, he chose to tell himself he couldn’t bat. From that moment on, he never recovered and I am sad to say is lost to the game. All he could think about before he went out to bat was that he was going to get a Duck. He imagined it in great detail with all the heart-wrenching emotion that goes with it. As a result he’d head out to the pitch with his shoulders down and his mind doing everything possible to fulfil what he had been obsessively focused on. His mother thought she was helping him, as she lovingly said things like, “you’ll be fine this time”, “put last week out of your mind”, “you’re a great batsman, you have just had a run of bad luck”. Every one of those statements brought him straight back to the visual image and emotional experience of his last Duck. I so wished he would use the same intense emotion to visualise himself walking onto the pitch, shoulders back, sun on his face, hitting shot after shot clean to the boundary. Allowing himself to feel the joy of success, imagining the pride in his mother’s eyes, the shoulder slapping from his mates. If he had focused on the prize, he would have sought solutions from his coach, practised more, gone to bed early the night before his game. He would have blocked more balls for the first two overs, until he got his eye in. His brain would have done everything creatively possible to fulfil that obsessive visual image he had created in his mind, of being a great batsman. This is not magic – it is science. Change takes time and it’s not going to work if you plop down one day for two minutes, do a spot of visualising and then sit back waiting for the universe to provide. This is one of many effective tools, if used properly, teaches you how to control your mind to create the life YOU want. Choose something you really want to achieve or bring into your life. Take some time by yourself to visualise achieving it as described above. Connect to the emotion of living in the answer, and hold onto this feeling. Indulge this fantasy often and in great detail. Thank you Paula….reading this today was exactly what I need to focus on at the moment….I am off to find my Blue Elephant!….And I cannot wait to read more of your work…..Thank you again! I felt like you read my mail when you wrote “then I suggest you are subconsciously thinking about the lack of it”. Yes, I need work in the self worth arena. I’m looking forward to your upcoming content. Thanks Paula! I think it boosted me a bit today…. Nice article, would love to read more ..